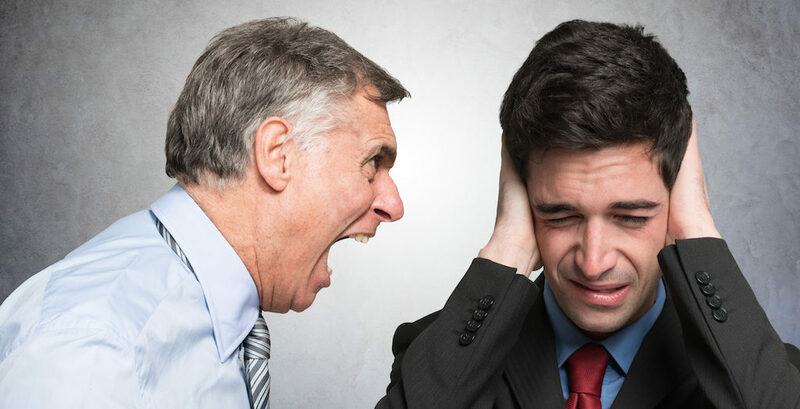 Toxic Leadership: Why Is It Still Allowed To Exist in the Workplace? Home Leadership Toxic Leadership: Why Is It Still Allowed To Exist in the Workplace? Start a management degree at American Public University. The topic of toxicity in the workplace comes up in conversations that I have on a regular basis. The same question comes up every time – why is it still allowed to exist? It’s a question that I have asked myself for many years. I chose human resources as my first career, because I wanted to help level the playing field and ensure that each person received fair treatment. I was a strong supporter of organizational justice. However, one of the reasons why I left human resources to enter higher education was to help the toxic leader. Based on my experience, I thought it was impossible to help individuals with this type of leadership style while I was in the work environment. Why? I am of the opinion that the typical work environment serves as a catalyst and enabler of toxic leadership. Consequently, I thought that I would enter higher education to assist future managers on becoming successful leaders. In 2000, I was invited to an open house for a new graduate certificate program in emotional intelligence. The facilitator presented a problem-solving icebreaker question about a toxic leadership situation. A pharmaceutical organization hired a scientific project manager who was known for her ability to secure research funding and develop cutting-edge patents. Unfortunately, she lacked people skills and the turnover rate of her direct reports was extremely high. During the exit interviews, the former employees shared how the organization was responsible for creating a hostile work environment by allowing this individual to be a supervisor. We were asked, “What would you do?” Given my background, I spoke up and stated that it was the organization’s responsibility to investigate the concern of the former employees in order to validate the complaints. If the results showed that the complaints were accurate, the organization should consider putting the manager on a corrective counseling plan. One other person in the audience agreed with me while the others were unsure. Both of us were human resource executives so we were thinking the same thing….one bad apple can’t tarnish the reputation and integrity of the organization. We were looking at the possibility of potential lawsuits, as well as the mental health of the direct reports. The facilitator smiled and shared how the senior leadership wanted to “save” the manager, given the value that she added to the organization. She proceeded to share how this scenario was the basis of the program. The expected outcome was to graduate executive coaches who had the skill set to mentor employees such as the scientific project manager. Some businesses hire individuals to take them to the next level. In order to go to the top, these individuals utilize the skills and tools that made them successful. Sometimes, soft skills are not a part of their arsenal. My opinion is that senior leaders know about the toxic leaders. They are the “elephants in the room” – the topic that you don’t discuss openly. I believe at some level the organization’s culture supports a position of “for the greater good…it’s not a perfect world.” In this particular scenario, company leaders made the decision to require the manager to receive mentoring in her deficient areas while she made a name for the company. I left the meeting feeling enlightened. The new question swirling in my head was “How do you protect the employee at an organization where executive coaching is not a service provided to the toxic leader?” I still have the same response today – each person needs to determine what his/her “greater good” formula is. At what point does an environment become unbearable and threaten your mental well-being? The state of our economy is very interesting because some believe that there is a shortage of workers. Others believe that there are not enough quality candidates and that job seekers should be as specific in their prospective employees as the employers are. Job candidates should still seek out those jobs that would be a perfect fit. Most employers are “at-will” and the working relationship should be mutually beneficial. Candidates must be prepared to “interview” the company to make sure it is a good fit and free of toxic leadership, especially leaders to whom they would report. In most cases, there is the opportunity to interview with the hiring manager. What should you look for? If possible, prepare before the interview by researching the characteristics of toxic leaders (refer to the bullets below). Develop a list of questions based on the information that you find and document the hiring manager’s responses. Also, request a tour of the actual department where you will work. Observe the behavior of the leader as he/she walks through that department. How do direct reports and indirect departmental personnel react to this individual? Take notes and make the right decision for you. Leadership expert Jean Lipman-Blumen wrote a book on toxic leadership and an excerpt is available on the Internet. When I read it, what stood out to me was the introduction of choices that you have if you find yourself in a toxic situation. Although she provides some helpful ideas on assisting organizations from preventing toxic leadership in the organization, those suggestions don’t help if the organization supports a toxic leader. However, I have to commend her suggestion of a 360-degree feedback evaluation program. I have seen where this type of process has been an early alert for potential problems. Also, Lipman-Blumen mentions how organizations can become a breeding point for toxicity and dysfunctional behavior due to counterproductive policies and practices. Sometimes, we create our own problems. Incompetent – They don’t know how to do their job. Narcissist – Most of their time is spent on themselves. Rigid – They tend to be stubborn and won’t accept someone else’s ideas. Insensitive – They have no regard for the well-being of others. Arrogant – They consider themselves superior to others. Coward – They lack the courage to face tough situations; someone else has to take the heat. Ambitious – Many are overtly ambitious with an unhealthy appetite for success. Domineering – They behave in an autocratic way. Evil – Many will abuse their supervisory power. Dr. Marie Gould Harper is the Dean of the School of Business and the Program Director of Management at American Public University. She holds an undergraduate degree in psychology from Wellesley College, a master’s degree in instructional systems from Pennsylvania State University and a doctorate in business from Capella University. She is a progressive coach, facilitator, writer, strategist and human resources/organizational development professional with more than 30 years of leadership, project management, and administrative experience. Dr. Gould Harper has worked in both corporate and academic environments. Dr. Gould Harper is an innovative thinker and influential leader, manifesting people skills, a systematic approach to problems, organizational vision and ability to inspire followers. She is committed to continuous improvement in organizational effectiveness and human capital development, customer service and the development of future leaders.